Sexuality is a choice. Pro life. Anti gay student clubs. Pro LGBT discrimination. Liberal Senator Amanda Stoker has shared her view that people choose their sexuality. 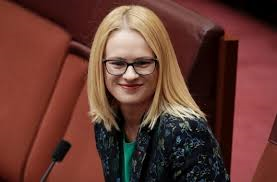 Liberal senators have refused to agree to the protection of LGBT students from discrimination unless the current legal exemptions are replaced by other protections for religious freedom.